On the 25 April, 2009 Long March Space will kick off the spring season with the following programs in our four galleries. 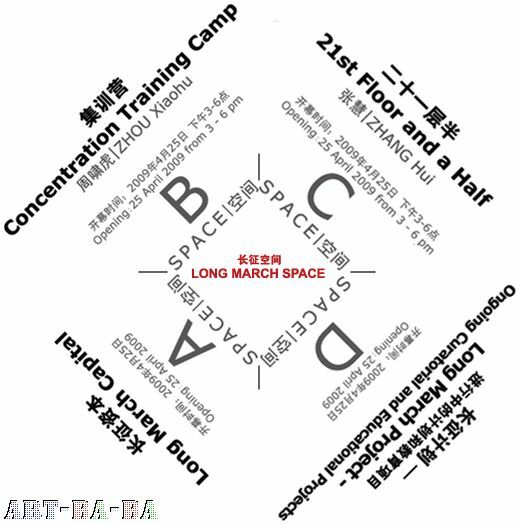 Space B - <'Concentration Training Camp' - Zhou Xiaohu Solo Exhibition>. 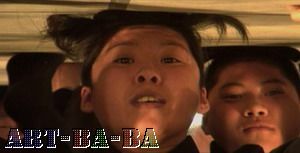 Zhou Xiaohu spins his comically subversive manipulation of consumer antics through a large-scale 8-channel video installation, this time a provocative critique of pyramid money making schemes. Space C - <'21st Floor and a Half' – Zhang Hui Solo Exhibition>. Zhang Hui presents a new series of large-scale paintings that continue his conceptual fascination with disorientating viewers perspective of space. Space A – ‘Long March Capital’ – selected works from the Long March Project. A long term display of a range of work by other Long March artists such as Zu Xhen's photographs from the recent 'The Starving of Sudan' 2008 project; photographs and video works from Sichuan female artist Chen Qiulin; print works from Qiu Zhijie's 'Monument' series, plus other works by Li Tianbing, Zhan Wang, Lin Tianmiao, Dong Jun, Yang Shaobin, Jiang Zhi, Mu Chen and Shao Yinong, Hong Hao and He Jinwei. Space D – Long March Project Room – working station and display introducing current ongoing curatorial and educational Long March Projects.